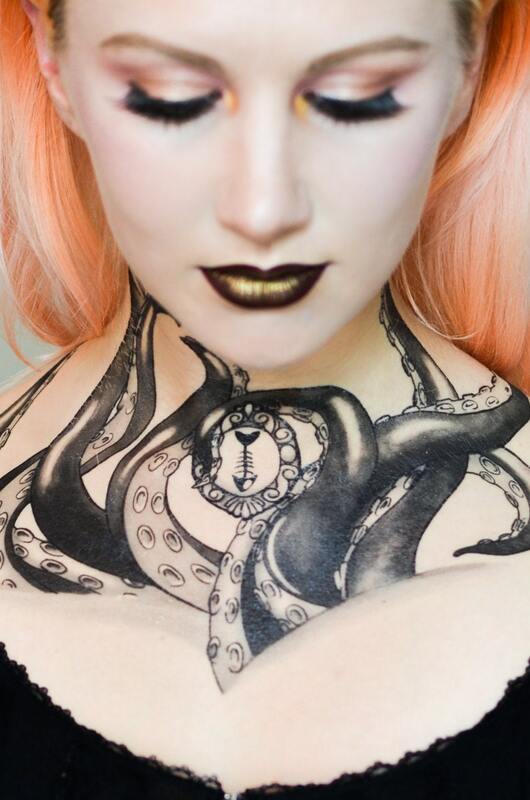 It's no secret that Ursula is my girl, so it shouldn't bee surprising that she influences quite a few of my designs. 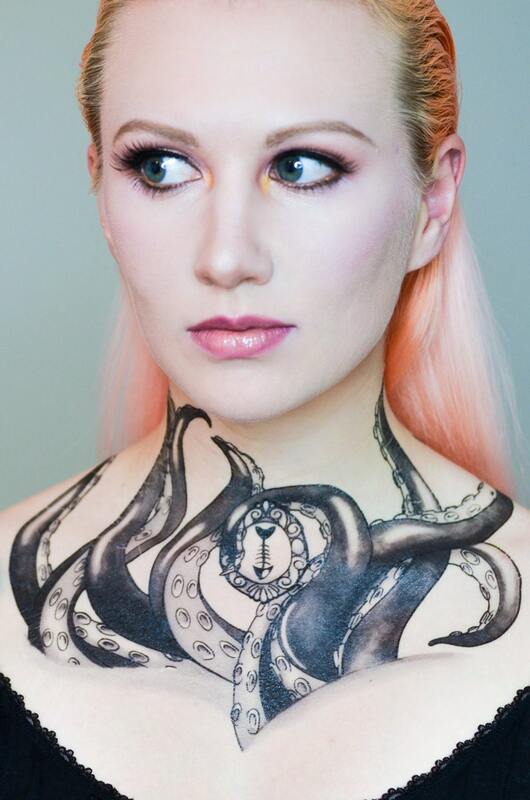 This one doesn't have any direct Little Mermaid references, but it definitely has that sea-witch, nautical badass vibe to it! 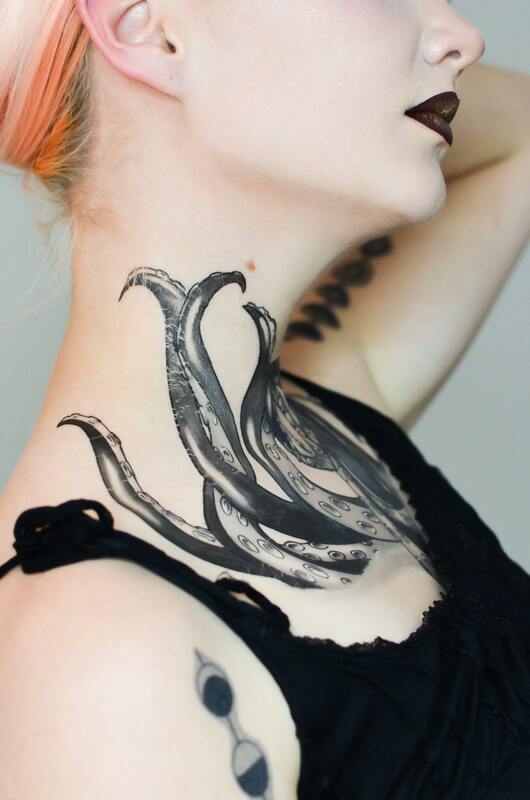 This piece, in my opinion, looks better higher up on the neck. (As pictured.) However, this makes application difficult due to all those body angles. 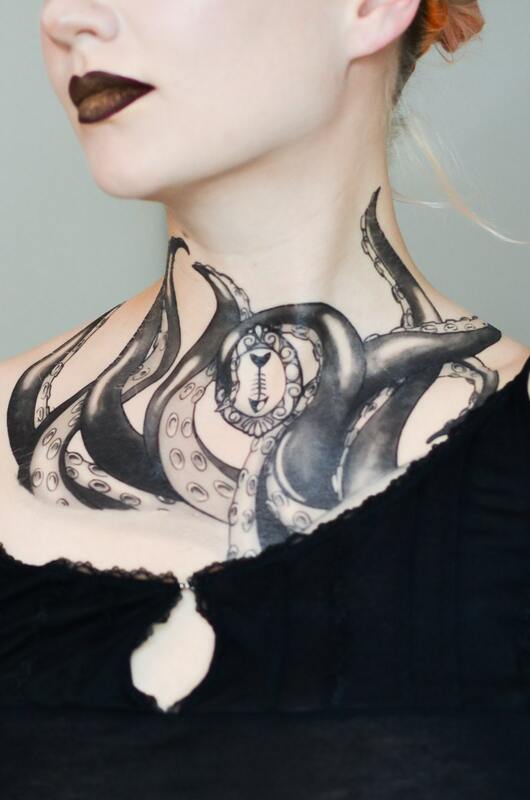 An easier option is to place it further down, with the tentacles reaching just above the collarbone. It also looks REALLY good wrapped around an arm or leg. See the dimensions below to check if the size will work with your body parts. Approximately 10.5" wide and 7.5" high.